Harvick: Earnhardt "Stunting The Growth Of NASCAR"
Former Monster Energy NASCAR Cup Series champion Kevin Harvick pulled no punches last night when talking about the imminent retirement of fellow driver Dale Earnhardt, Jr., saying the sport’s perennial Most Popular Driver “had a big part in stunting the growth of NASCAR” by not winning enough races. 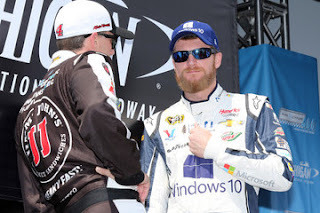 Speaking on his weekly Sirius XM NASCAR Radio show “Happy Hours,” the 2014 series champion said he is puzzled by the popularity of Earnhardt, who has won just nine races in the last 10 seasons. 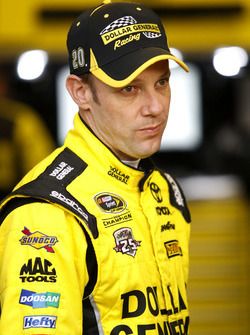 “He is the most popular driver, but did he have the credentials to back up being the highest paid driver in the sport? Probably not,” said Harvick. He was the most popular driver in the sport (and) he could demand a huge sum of money, because he brought things in from the souvenir side of things and a popularity side of things, that other drivers didn’t. He earned his money a different way. It wasn’t from a performance base. “This is where some of the growth in this sport has not reached the levels that it should have,” he added. Because our most popular driver hasn’t been our most successful driver. “When you look at other sports; basketball (and) football -- and you look at their most popular (athletes) -- they’re also right up there at the top of the list as their most successful. So, I believe that Dale Jr. has had a big part in kind of stunting the growth of NASCAR, because he’s got these legions of fans. (He has) this huge outreach, being able to reach different places that none of us have the possibility to reach. But he’s won 9 races in 10 years at Hendrick Motorsports. 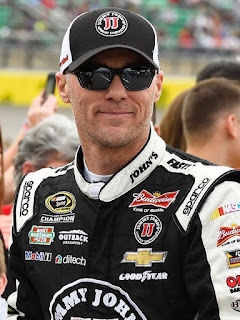 Harvick said Earnhardt’s massive fan base is “totally confusing to me,” adding that “Jimmie Johnson should be our most popular guy, because he’s won seven championships. But when you look at the souvenir sheets every week, he’s 3-4-5, coming off of a championship year. Harvick also discounted Earnhardt’s recent comments about declining driver salaries, saying, “Dale’s never really been in a position -- since he’s been at Hendrick Motorsports -- to understand where normal driver salaries even are. “He’s always been the highest-paid guy in NASCAR. He’s been the guy that makes the most money. “Hendrick Motorsports is about to go through a total reset,” he said. 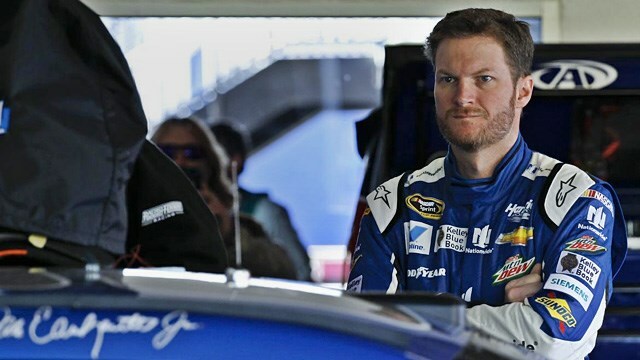 “For years, they’ve had the highest-paid athletes in motorsports on their team. Now, with Jeff Gordon, Dale Earnhardt Jr and Kasey Kahne exiting within a two-year period, it’s a complete re-branding. Sure it’s going to lower the cost. Hendrick Motorsports has had the highest paid drivers for a number of years, with Jeff Gordon and the highest paid driver, Dale Jr.
Three of NASCAR’s biggest names are currently “at leisure” for the 2018 season; a fact that many observers struggle to understand. Hendrick Motorsports confirmed today that Kasey Kahne has been released from the final year of his contract, freeing him to explore other opportunities for 2018 and beyond. Last week, Stewart Haas Racing declined to exercise its contract option on Kurt Busch, while Matt Kenseth currently has no ride lined up for next season, after losing his spot with Joe Gibbs Racing. How do three proven drivers with a combined 85 Monster Energy NASCAR Cup Series wins and two series championships find themselves on the outside, looking in? And while we’re at it, how does Greg Biffle – a former Xfinity and Camping World Truck Series champion with 19 career MENCS wins -- languish on the sidelines while drivers with a small fraction of his resume continue to compete every week? The answer comes down to money, or the lack thereof. All of that is unquestionably true. 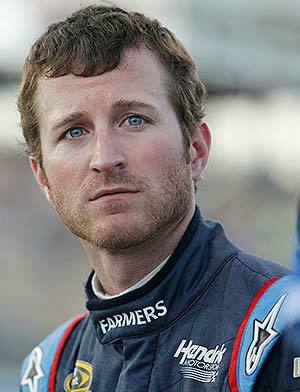 Unfortunately, Kahne is also a veteran driver who expects a certain level of compensation for his labor. And like Kenseth, Busch and Biffle, Kahne’s desired level of compensation makes him expendable in these changing economic times. Earnhardt said that in an era where sponsorship is increasingly difficult to come by, drivers can no longer write their own check when it comes to salary. It’s not 1998 anymore. The days when a sponsor would happily stroke a check for $30 million per year are long gone, and they’re not coming back anytime soon. The number of sponsors willing (or able) to fund an entire, 38-race season can easily be counted on the fingers of one hand. And as sponsorship wanes, teams must respond by cutting payroll, slashing expenses and paring their operation closer to the bone than ever before. A proven commodity like Kenseth finds himself jettisoned in favor of 21-year old newcomer Erik Jones, who will win races and contend for championships while cashing a much smaller paycheck than the man he replaced. 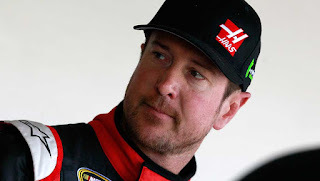 Busch has his contract option declined by Stewart Haas Racing, who will almost certainly attempt to ink a new pact with the former series champion, at a lower rate of compensation. 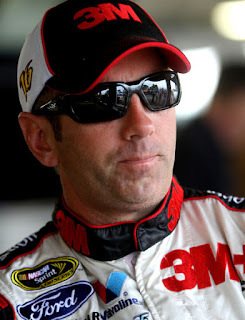 Biffle – who sources say was near the top of Richard Petty’s wish list when Aric Almirola was sidelined by injury earlier this season – gets passed over in favor of 23-year old Darrell “Bubba” Wallace, in large measure due to the gaping disparity in their pay demands. And Kahne is let go by Hendrick Motorsports, likely in favor of young William Byron; a wildly talented 19-year old who will race competitively for less money than Kahne likely has scattered beneath his couch cushions. 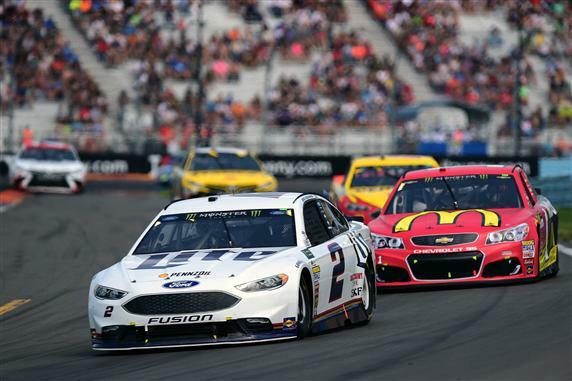 NASCAR has recently come face-to-face with a difficult (though arguably long overdue) period of right-sizing. The days when mid-pack drivers owned their own private jets are long gone. The team owner’s helicopter went up for sale years ago, and the mountain chalet is now a luxury, rather than a necessity. 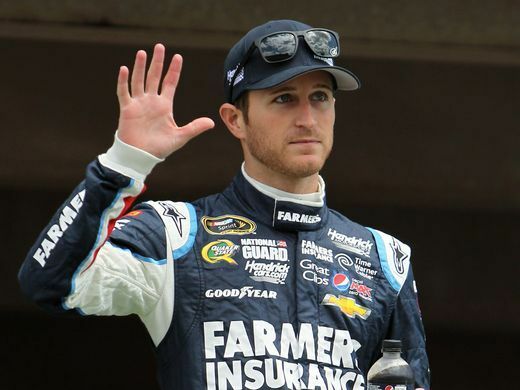 Hendrick Motorsports has announced that Kasey Kahne has been released from the final year of his contract, allowing him to immediately pursue opportunities for 2018. Busch was fuming after the race. 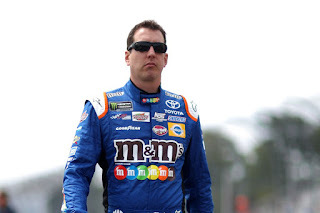 Kyle Busch stalked away from his M&Ms Caramel Toyota following Sunday’s I Love New York 355 at The Glen; trailed by a pack of reporters anxious to witness a promised, post-race dustup between the Joe Gibbs Racing driver and rival Brad Keselowski, who had tangled on-track earlier in the day. Despite an earlier warning that his crew “better keep me away from that @#$%& after the race,” Busch disappointed the media entourage, walking straight to his team’s transporter without so much as a sideways glance toward Keselowski. 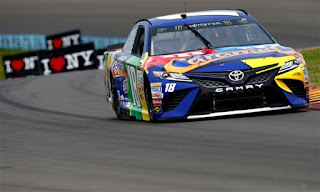 Their lap-45 crash – as well as an earlier pit road miscue that dropped him to the tail of the field – ruined what appeared to be a dominating day for the 2015 Monster Energy NASCAR Cup Series champion, dashing his hopes of sweep the WGI weekend and claiming his second consecutive MENCS checkered flag. The two raced side-by-side into The Glen’s tricky “bus stop;” a right-left-left-right chicane that is difficult to negotiate, even in single-file formation. 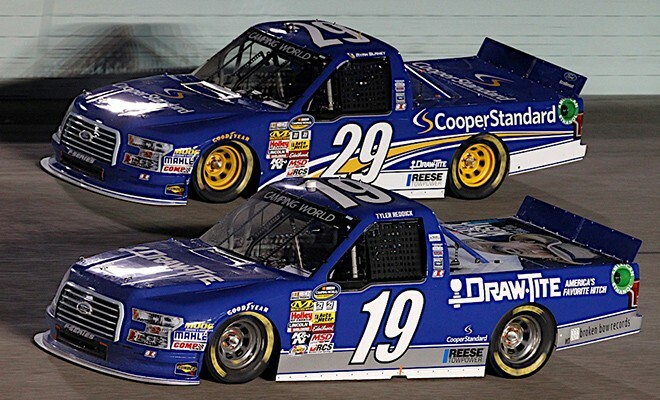 They banged doors and spun, with Busch unable to re-fire until he had fallen nearly a half-lap behind the leaders. Both drivers were forced to pit shortly afterward for tires and body repairs, effectively ending their hopes for Victory Lane. 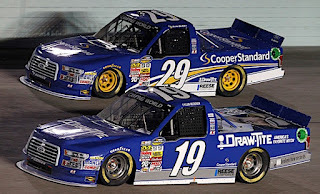 Busch rebounded to seventh at the finish, with Keselowski 15th after driving through too many pit stalls on his final stop and serving a NASCAR penalty. 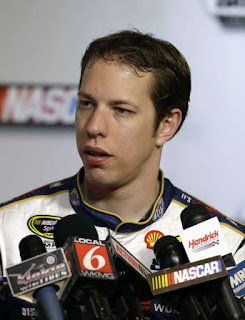 "I was going in the corner and I had (AJ Allmendinger) behind me,” explained Keselowski afterward. “I got to the corner and my spotter said `somebody there.’ I had already gotten to the corner and by then I was already committed. Asked for his post-race take on the incident, Busch said simply, "Imagine that. I couldn't tell you (what happened). I haven't seen (the replay)." Busch and Keselowski have had their moments before on the 2.454-mile road course. In 2012, Busch spun after last-lap contact from Keselowski on an oil-slicked race track, ending his hopes for victory. This time around, however, both drivers likely owned a share of the blame, whether they accept it or not. "This is a track where you fight for inches,” countered Keselowski. And we both are probably not willing to give in. It didn't help my day at all either, I can tell you that. I wasn't looking to get into him and I don't think he was looking to get into me. He probably had the dominant car. He didn't need any trouble. Neither did I. Asked if he expects to talk through the incident before this weekend’s race at MIS, Keselowski said, “I don’t think (Busch) is really the listening type.